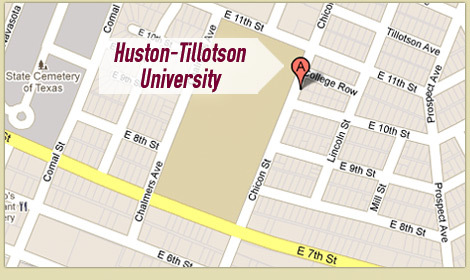 Huston-Tillotson University does not discriminate in its student admissions and educational programs or other University-administered programs on the basis of race, national origin, religion, color, gender, sexual orientation, physical ability or disability, or criteria prohibited under state and federal age discrimination statutes. Additionally, the College conforms to all federal, state and local laws and policies, in addition to the Family Educational Rights and Privacy Act of 1974 and amended (PL-93-380). The University does not discriminate on the basis of the applicant’s or employee’s race, national origin, religion, color gender, sexual orientation, physical ability or disability, or criteria prohibited under state and federal age discrimination statues. Consistent with Section 504 of the Rehabilitation Act of 1973 and the Americans with Disabilities Act (ADA) of 1990, and the ADA Amendment Act of 2008, it is the policy of Huston-Tillotson University that no otherwise qualified person with a disability shall be subjected to discrimination because of that disability under any program or activity conducted or sponsored by the University. If you have difficulty accessing any portion of this page with adaptive technology, please send a message to webmaster@htu.edu. 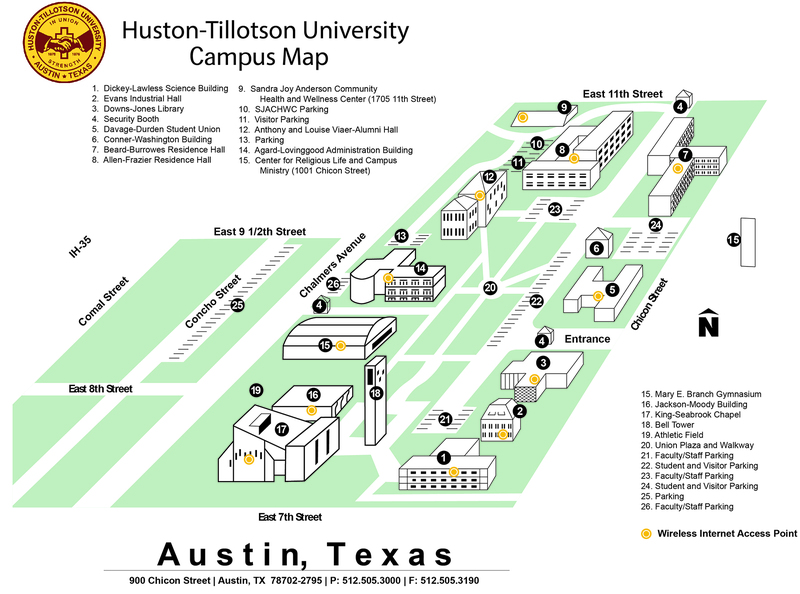 You will be contacted by a representative from the Huston-Tillotson University’s Counseling and Consultation Center in order to discuss alternative solutions. If you have accessibility or accommodation needs for a campus event or activity due to a disability, you must notify the Counseling and Consultation office in writing at least seven business days in advance of the program in order to allow time to make proper arrangements. Contact the office at 900 Chicon Street, Austin, Texas 78702, 512.505.3149 or counseling@htu.edu. For those who are deaf, hard of hearing, and/or speech impaired, please use e-mail or the relay option of your choice to contact.